Sitting on a quiet cul-de-sac with a short walk to shopping, schools and library. This spacious 4-bedroom colonial offers gleaming hardwood floors, updated kitchen with granite counters and tile floor. The lovely family room has a wall of sun filled windows and vaulted ceiling which leads to an airy screened in porch and large custom deck. The pretty living room has a cozy fireplace to relax by. The property is .50 of an acre and is private and well cared for with mature trees and beautiful plantings. All the mechanicals are newer. This home is ready for you to move right in., Sitting on a quiet cul-de-sac with a short walk to shopping, schools and library. 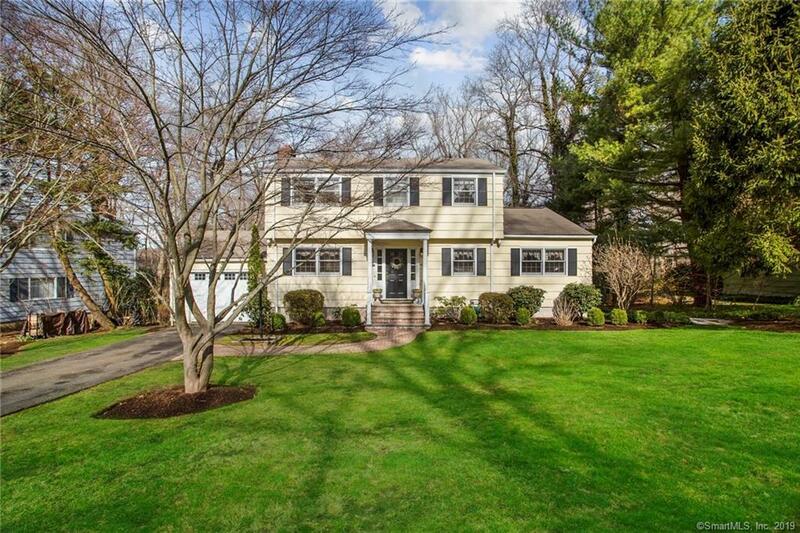 This spacious 4-bedroom colonial offers gleaming hardwood floors, updated kitchen with granite counters and tile floor. The lovely family room has a wall of sun filled windows and vaulted ceiling which leads to an airy screened in porch and large custom deck. The pretty living room has a cozy fireplace to relax by. The property is .50 of an acre and is private and well cared for with mature trees and beautiful plantings. All the mechanicals are newer. This home is ready for you to move right in.